"We can now consider these metabolites as candidate biomarkers for assessing adherence to the DASH diet in future nutrition research studies, and one day clinicians might use these markers to monitor what their patients eat," says study lead author Casey M. Rebholz, Ph.D., an assistant professor in the Department of Epidemiology at the Bloomberg School. 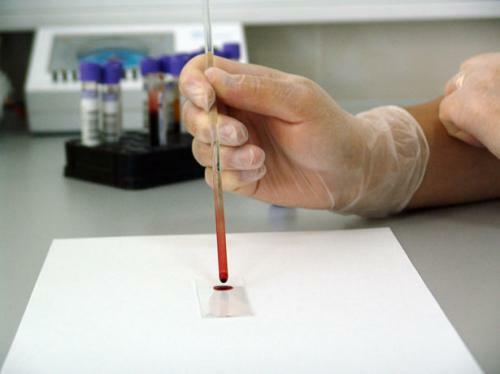 Rebholz and colleagues decided to evaluate a potentially more informative and patient-friendly method based on blood samples. They demonstrated their approach using frozen stored blood samples that had been drawn from participants during the landmark 1997 study of the DASH diet. That study found that the DASH diet, compared to a control diet reflective of what the average American eats, significantly reduced blood pressure. The trial design, in which participants were provided with all study meals, ensured that dietary adherence was measured accurately—meaning that the trial data could be used later to test new measures such as blood metabolites. The Bloomberg School scientists analyzed blood samples from 329 DASH trial participants for levels of metabolites—lipids, amino acids and other small-molecule byproducts of the body's biochemical activity that exist in everyone's blood and reflect food consumption. Using an advanced "untargeted metabolomics" approach, in which they looked at all known metabolites, the researchers found 97 metabolites whose levels differed significantly between the DASH diet-assigned participants and the control group. More information: "Serum untargeted metabolomic profile of the Dietary Approaches to Stop Hypertension (DASH) dietary pattern" American Journal of Clinical Nutrition (2018).